Hot 97 Summer Jam at New Meadowlands Stadium June 6 | Errols Weekly Music Update. Hot 97 Summer Jam at New Meadowlands Stadium on Sun. June 6. The is an “internet” pre-sale until midnight tonight. General public tickets on sale tomorrow at 10:00 a.m. $40, $65, $99.50, $125 and $250. This year’s full lineup will be announced on Hot 97 on the Angie Martinez show at 4:00 p.m. on Monday May 3. Crosby, Stills & Nash at the Bethel Woods Center for the Arts in Bethel NY on Tues. Aug. 31. Tickets on sale tomorrow morning at 10:00 a.m. $40.50 – $81.45. Phil Collins at the Roseland Ballroom on Tues. June 22 and Fri. June 25. Pre-sale tickets for Citi card holders go on sale this Mon. Apr. 19 at 10:00 a.m. General public tickets on sale next Sat. Apr. 24 at 10:00 a.m. (Live Nation Event but further ticket info to follow). The Rockstar Energy Drink Mayhem featuring Korn, Rob Zombie, Five Finger Death Punch and others at the PNC Bank Arts Center on Wed. July 28. Tickets on sale this morning at 10:00 a.m. $20, $39.50 and $49.50. The Lilith Fair Tour returns this summer and will stop at the PNC Bank Arts Center in NJ on Saturday July 31 and the Comcast Theater in CT on Sun. Aug. 1. Tickets on sale tomorrow at 10:00 a.m. (Live Nation Event). Each tour date will feature 11 artists and the only mainstay at each show will be Sarah McLachlan (co-founder). Other artists include Mary J. Blige, Heart, Erykah Badu, Ingrid Michaelson, Loretta Lynn, Colbie Caillat and many others. Sting with the Royal Philharmonic Orchestra at The Metroplitan Opera on Tues. July 13. Tickets on sale this morning at 10:00 a.m. $20 – $350. John Mayer at Jones Beach on Wed. July 21 and at PNC Bank Arts Center on Tues. Aug. 3. Pre-sale tickets for Citi card holders on until 10:00 p.m. tonight. General public on sale tomorrow morning at 11:00 a.m. Jones: $49.50 and $79.50; PNC: $36 and $79.50. Rush at Jones Beach on Sat. July 24 and at PNC Bank Arts Center on Fri. Sept. 3. Tickets on sale tomorrow at 10:00 a.m. Jones: $36.50, $61.50, $91.50 and $151.50; PNC: $35.75, $56.25, $96.25 and $156.25. Pat Benatar at the Nokia Theater on Wed. Aug. 25. Pre-sale tickets for American Express cardholders on until 10:00 a.m. this morning. General public tickets on sale today at noon. $45. Cheap Trick and Squeeze at Radio City Music Hall on Tues. July 13. Further ticket information to follow. Lyle Lovett at the Wellmont Theater on Sun. Aug. 15. Tickets on sale today at noon. $40, $60 and $75. Toby Keith with Trace Adkins and James Otto at the PNC Bank Arts Center on Sat. June 19. Tickets on sale tomorrow morning at 10:00 a.m. $39 and $74. Lady Antebellum at Nokia Theater on Mon. May 10. Pre-sale tickets for American Express cardholders on until 10:00 a.m. this morning. General public tickets on sale today at noon. $44.50. Billy Idol at the Hammerstein Ballroom on Wed. Sept. 15. Pre-sale tickets for Citi card holders on until 10:00 p.m. tonight. General public tickets on sale tomorrow at noon. $45 and $65. Dave Mason at BB Kings on Thurs. Sept. 30. Tickets on sale next Fri. Apr. 23 at 10:00 a.m. $33.50 ($36 day of show). Cyndi Lauper at the Ridgefield Playhouse on Wed. July 28. Tickets on sale now. $85 and $95. Thoughts and prayers go out to the family and friends of Peter Steele (front man for Type O Negative) who passed away on Wednesday at the young age of 48 and apparently it was from heart failure. This is a total shock and numbing, rest in peace Peter. \m/ \m/ He was born in Brooklyn NY. Bret Michaels had emergency appendectomy surgery this past week and is apparently doing fine now recovering in a hospital. He had severe abdominal pain and was rushed to a hospital in San Antonio TX and some of his shows for April have been rescheduled. Take it slow Bret and we’ll see you this summer. Ok I have listened and digested Mary J. Blige’s version of the Mighty Led Zeppelin’s “Stairway to Heaven” and “Whole Lotta Love.” I’ll start with “Stairway”- now I have read the many negative comments and some people have reacted with a feeling that it is “sac-religious” to even touch a Zep song. Now you all know that I have put down my feelings on some songs that should never be re-worked (“American Pie” by Mr. McLean quickly comes to mind) and of course you all know how I feel about the Mighty Led Zeppelin. My oldest son is all over me for actually being OK with someone covering the “Mighty Led Zeppelin” (as I put it) and he doesn’t understand why I have accepted it and said the only reason I’m OK with it because it is Mary J. Blige- he says if it were any one else, I wouldn’t even acknowledge it. He may be right but you all know I have a soft spot for Mary. But I have to tell you, Mary treats this song with the respect that it deserves and it is very close to the original rendition, so she didn’t try to change the meaning and the tradition of this landmark song. To me that is always the first rule when trying to cover an epic tune, Ok the second rule-my first rule is that it should never be re-recorded-so yes I can understand those people who feel that the remaining members of the Mighty Led Zeppelin should have never given Mary permission to record her spin on the song. Now is it as good as the original? No, but no one could ever do it like Plant, Page, Bonham or Jones. The ending of her song is a bit theatrical but overall I would say she does a very good interpretation. By the way, the Steve Vai guitar solo in the middle of the song is “off the hook” and electrifying. Now with “Whole Lotta Love”-I would say for all of you “rockers” out there-don’t even attempt to listen to this-you might become very angry. Now for all of you out there who do not know this song (can’t imagine who but I have to assume there are) you may like her take on it as she definitely changes the entire mood of the song and brings you to a club with dancing beats. So what is my take you ask? Well admittedly the first go around I was making squinting faces like I just swallowed some rotten milk but after a few more turns, it not as bad as I thought. Love the way she does the “Way down inside.. you need it….Loooovvveee” Again if you love the original don’t even go near this but if you can keep an open mind, it’s not so bad. If you are a fan of Soulja Boy, you can ask him questions either now or live today at 2:00 p.m. through Twitter by tweeting to @billboarddotcom using the hashtag #bblivechat. He is a fixture on Twitter as he has over 2 million followers as well as at @souljaboytellem. So start tweeting away your questions now or at 2:00 p.m. today. No offense to Andrew Garcia but finally… whew if he wasn’t gone after Wednesday I probably would have stopped watching American Idol… I’m completely baffled on why Katie Stevens was voted off (and even more confused on why Michael Lynche was standing next to her in the bottom three) because out of the remaining women, Siobhan Magnus deserved to be booted after her lackluster performance on Tuesday. My prediction now is that Crystal Bowersox will be the winner in 2010. I know this years’ competition has fallen short when compared to prior years but I have to say that now that we are in the final few, the performances have really been better and for all of you out there who haven’t been following-now’s the time to turn it on as we head for a winner in a month or so. Most everyone’s performance on Tuesday night was really good, except for Andrew and Siobhan (in my opinion)-although Casey James has to take it up a notch again, he can’t rest on the solid performance of “Jealous Guy” from last week. My favorite “80’s song” of the week belongs to Men at Work with one of their most popular songs-“Who Can it Be Now?” When is the last time you have heard this tune? Boy it has been a while for me and I forgot how catchy this song is and I love the saxophone solo. (That should have been me, oh well) Great tune check it out!!! Sheryl Crow’s new album-“100 Miles from Memphis”-is due out on July 20 and it is “a bit of an experiment” as it is filled with R&B influences. She says she grew up with heavy influence of Carla Thomas and Curtis Mayfield so she decided to pay homage to these vintages artists with her take on R&B. I am very intrigued and can’t wait to hear it. Ozzy will release his 10th studio solo album-“Scream”- on June 15th and if you are a fan of CSI you may have heard his new single-“Let Me Hear You Scream”-which debuted this past Wednesday night on CBS. You can listen to the entire version of the song right here: http://www.noisecreep.com/2010/04/15/ozzy-osbourne-let-me-hear-you-scream-new-song/It is blistering and loud. Metal fans rejoice-Ozzy still has it. 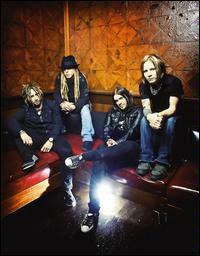 A tour will follow, I’ll keep you posted on Ozzfest. My other favorite “80’s song” of the week is “One Thing Leads to Another” by The Fixx. Remember that song? Man this was the “bomb” back in 1983 and was part of that “new wave” revolution that made their stamp on the music world. The early ‘80’s music was special in my opinion because it was a period of time where an individual or a band could have really made a splash as it was a time where the road was wide open as genres like disco was being left behind (still not in Brooklyn though), classic rock was there but nothing new, so bands like The Fixx (B-52’s etc.) had a chance to make some cool songs and this is definitely one of them. By the way, just a second on the song with Iggy Pop-“We’re all Gonna Die” (from the same album) and please take what I’m about to say as not a knock on Iggy, just want to make a point on something. We all know Iggy has made his impact on Punk rock and the world of rock with his time with The Stooges but definitely is an acquired taste and probably is not something you’ll have at your next tea party (no not the maniac Republican “get-togthers”), I’m talking regular tea that you drink. I just have to point out that one of my favorite bands-Kiss- has been ridiculed for their last album-Sonic Boom- as far as the juvenile lyrics and how can it be that Simmons & Stanley at their age write about such things. OK let’s compare- here are some lyrics to “Yes I Know (Nobody’s Perfect):” “…flip a coin.. is it heads or tails tonight.. you can’t bring this boy to his knees..” –admittedly kind of “teenage-like” lyrics. Now let’s take a look at “Gonna Die:””…I’m in the mood…so let’s intrude…pee on the ground.. and jump around..” Ok did you see those last two lines-pee on the ground and jump around- do I need say any more? I believe Iggy and Gene are about the same age, why is it OK for Iggy but not Gene? Ok I know what you are thinking- how can I ignore side two of this landmark album? I’m not, I will state that every song on this album could be considered as “perfect.” But for my taste, there are some songs on side two that are good but just not perfect which I will not disclose due to fear of retribution out there on the part of some of you. Please do not be upset with me, catch your breath and just know that I acknowledge the entire album as an American classic. I especially love “Smackwater Jack” from side two and that is probably my favorite song on the disc. I acknowledge that this album is akin to a “greatest hits” collection even though it is an actual studio album. Carole put her signature on the world of music with this album and it deserves to be in everyone’s music library, if you don’t have it… well.. you still have time. This album is like water- you need it to survive. Anyway about side one… it starts off with the electrifying “I Feel the Earth Move” and this has to rank way up there as one of the greatest songs ever recorded in the 20th Century and any other Century you’d like to throw in there. The opening piano notes are legendary and you immediately recognize it. Now this was recorded in 1971 but to hear today it still sounds as fresh as it was back then. This brings me back to my early days when I was growing up on 46th street in the Sunset Park area of Brooklyn, this song was everywhere during my childhood and for some reason I immediately picture me standing in front of the apartment building that we lived in with my mother, with her “beehive” hairdo on a nice spring day taking a walk down to 5th avenue to shop because that’s what my mother loved to do. I love the way the song ends with “tum bum bling down…” Track # 2-“So Far Away” could possibly be another “greatest song ever written” in the history of music. This song brings me to a standstill and I can’t even move when I hear it, it gives me chills down the back of my neck. Think about how many people know this song? Think about how it has affected the lives of millions? Can you imagine if you wrote this? I can’t even envision what it is like to be Carole King after writing this song, I wonder if she knew what kind of world renowned acceptance she would receive from people from every corner of the globe. There’s no way that anyone can not like this song, I have declared it-“unallowed.” Now talk about a “1-2-3” lineup- the third song is “It’s Too Late.” What makes her songs so great is the easiness to start singing along to the lyrics, there is a certain comfortable “homey” feeling to it-the same feeling you get around the holidays-do you know what I’m saying? The arrangement of this song is so spectacular it just has the coolest grooves ever created. “…And it’s too late baby.. though we really tried to make it..” If you get a chance-buy tickets to her tour with James Taylor just to hear this song. Incredible. Track # 4-“Home Again” could be used as a tranquilizer because it has this immediate effect of soothing one’s entire body-think of it as a full body massage. This is an absolute stunner and you have to search long and hard to find someone who sings with the passion as Ms. King. If this doesn’t move you, you may be from another planet. “Beautiful” is all about inspiration. It says that you need to love yourself and “show the world” how beautiful you really are. These are powerful words and have such a special meaning-“maybe love can end the madness”-that I wish the entire world would adhere to these words so that we could all live in harmony. This songjust brings a smile to my face and I wish I could have been in the studio when she recorded it, I’m assuming everyone had “goosebumps.” Another absolute stunner. The last song on side one is “Way Over Yonder” is a blues laden track filled with one of the best vocals performances you will ever find. For me this conjures up images of Aretha because I could picture her taking on this track and when the saxophone solo comes into play well I’m floating off into “La La” land and don’t want to come down. This brings tears to my eyes; that’s how good it is. Well folks just like that there you have it, side one is done and again side two is also fantastic but for me side one is perfect. 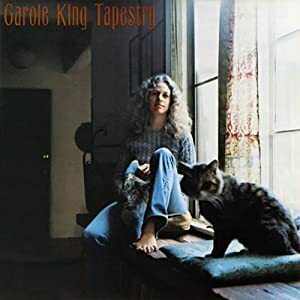 Carole King’s “Tapestry” remains one of the most important albums of all time and represents the longest charting album by a solo female in the history of music. (Think “Dark Side of the Moon” on the men’s side). It has sold over 25 million copies worldwide with over 10 million sold alone in the U.S. and was ranked the 36th greatest album of all time by Rolling Stone magazine in 2003 when they named their top 500 ever. I have the vinyl and I love listening to this gem with all the “scratchiness”, timeless classic. This week’s I-Pod shuffle landed on “Burning Bright” by Shinedown from their debut album-“Leave a Whisper” and it had me thinking that I needed to put down their top ten songs. Now I know I wrote so much about them last year that many of you were probably thinking this was the “Shinedown Weekly” instead of “Errols Weekly.” But more recently I have not “sung their praises” (I know I did a review of their sophomore effort-“Us and Them” a few months back but that was “months”) so I figured it was time to try and get more of you on their bandwagon. This band was formed in 2001 in Jacksonville FL with four guys who had dreams of grandeur as rock stars and more recently they have reached that upper echelon of stardom as more and more of their songs are reaching the masses with some pretty good success. “Second Chance” went on to be a powerful hit and now that I am older I love the fact that it reached the “general” audience. Why? Because it will draw more fans in to what the die-hard Shinedown loyal already knows-this band has some serious talent. Now I was drawn into this band back in 2004 while vacationing down in the Smokey Mountains of Tennessee and back then their cover of the Skynyrd classic-“Simple Man”- was all over the air waves. I tried to get my brother-in-law to go see them at a local club in Tennessee but he had never heard of them and wasn’t as intrigued as I was, so I did not end up going because I did not know my way around the area. Then in 2005, when they released “Us and Them” it was almost like a potion as I became engulfed with that entire album and I “got” what the original fan was talking about. When that little girl starts off by reciting “Whisper in the yard, turn the trees all into toys, lay there on the ground and turn the dirt into your joy…” I know I will be off into a dream state for at least an hour while taking a fantastic musical journey as their music is pumped into my bloodstream and I know this is good for my heart because it makes me feel great. There is something different about the passion that resides within Brent Smith (and the rest of the band but its Brent I hear singing) that gets me going like no other band out there. 8. Burning Bright– Whew…I coming down from the ride of “Devour” to the calming influence of this great tune from their debut album. Folks listen to this song and tell me you don’t feel the passion in Brent’s vocals??!! Especially the “bridge” part where he exudes the furor of “There’s nothing ever wrong but nothing’s ever right.. such a cruel contradiction..” How anyone can not like this song is beyond me. This is always a fan favorite at their live shows, some quality stuff right here. 7. Atmosphere– The guitar melody is outstanding and how much more can I praise the massive skills as Brent Smith as a singer? He is freaking phenomenal. I wish I could get up on stage when they come back to NY again and sing this song with him (there is no way I could match his zeal) because he is the only singer out there today with the “younger” bands that has moved me (keep in mind I’m 45) and I would just once want to experience what he does up there on stage in front of the faithful followers, it has to be magical. It’s hard to put into words what this song does to me, it’s like I’m possessed-this is some powerful stuff folks-please join in on the fun. 6. Stranger Inside– You know how when you hear the opening notes of a song that you really love and you get that incredible urge to turn the sound up as loud as you can and just savor the moment? I can just picture myself in an abandoned parking lot surrounded by a chain link fence about 10 feet high in the night time with a street light shining a circle on the ground while the rain is pouring and I have a microphone trying to emulate the dedication that Brent applies to each and everyone of his songs. Love the beginning of the song where he accentuates the word “breath” as he says “I just won’t relax I can’t catch my bray-eee-ethhh” His intensity is unmatched and the heavy riffs from the guitar is too much for me to take, this is too good to be true. This is some of the best stuff that was released in the decade of 2000, hands down-so don’t even try to argue the point. 5. Breaking Inside– If this song doesn’t hook you into this band then nothing will. This song has it all-softness, heaviness, inspiration and a passionate display to make one self better. Don’t say nothing about that it is a pop ballad or any other nonsense like that because this is straight from the heart and anything from the heart which displays the devotion as this song does-then you need to pay attention. I want to say that this is Brent’s best ever vocal effort but I’d be lying because he gives the same effort on each song he sings, some may mean more to him but the effort is always there. Folks, he is the best singer/front man out there today, I’m sorry you can’t make songs like these and not be considered one of the best in the business. Beautiful song. 4. Fake– Oh my Lord when I hear the beginning of this song I just lose it. Please I beg of you- next time you are in one of those music stores (FYE or whatever-we went through this already) go to the Shinedown section (pray that they have “Us and Them”) and go to track # 12 press play and squeeze those headphones (Ok you should bring one of those Lysol swipes to clean the headphones, I understand) as tight against your ears and slowly bring up the volume and I don’t care what 30 second section of the song it will play because you will be blown away. Then you can put down the headphones, buy the disc from the teenager behind the counter who looks confused, then run to your car, try to rip open the package (use your car keys that usually works for me) slip it into your CD player and quickly fast forward to track #12 and listen to this masterpiece in its entirety. “Because I’m bleeding and my hands are bruised… from the grip that I once had on you…And I’m open for a new way because there’s not much more I can fake…” This is so good, it brings tears to my eyes. Music is supposed to move you, this moves me. 3. If You Only Knew– For those who have been following me for the last few years you know when I did a review for “The Sound of Madness” I told you that this was going to be the biggest song on the album (OK it didn’t go as far as “Second Chance” but there is still time) and I told the casual fan that if you didn’t like the heaviness of the other songs you’d have to love this track. This song evokes so many memories-the first being at their live show at The Highline in 2008 when Brent introduced the song as one of his favorites because he wrote it for his wife- the second being I hooked my cousin Michele (and Jenny too) into Shinedown and last year she sent me a birthday card and at the bottom of the card she wrote “.. it’s 4:03 and I can’t sleep without you next to me I toss and turn like the sea..” The smile that came across my face when I read the words to the song was from ear to ear. So this past Wednesday I woke up and didn’t have a job to go to again, so I couldn’t stay in the house so I went to the mall and was just walking around aimlessly and guess what song was playing over the speakers around the entire mall- yes- you have it-“If You Only Knew”- I said this has to be a sign of some sort-their music will help me get through this bump in the road. Thank you boys!!! 1. I Dare You– After “Save Me” comes “I Dare You” and I swear I feel like I could fly. I want to run right outside my house now and run and dive into the air with the feeling that I can fly high above the trees. I really feel that I could “walk through fire” when I hear this song. I feel like I can do anything when I hear this song. Folks this is some kind of special and if you don’t know these songs you are truly missing out. Again both versions-original and acoustic- are out of this world. If you remember (I do) Daughtry covered this song on his run with American Idol a few years back and did an admiral job but this song should never be officially “covered” by anyone-no one will ever do it justice the way Brent Smith does. This is absolutely stunning. 3. What is Fleetwood Mac’s only number one single in the U.S.? Can you guess the title from the following lyrics from part of the song? Back on this day in 1965, The Hollies had their first concert in the U.S. at the New York Paramount. Back on this day in 1969, Elektra Records dropped MC5 from their label after MC5 took out an ad in a local Detroit paper blasting a record store that did not carry their album. Back on this day in 1972, the Electric Light Orchestra made their live debut at the Fox and Greyhound Pub in Croydon U.K.
Back on this day in 1974, Queen made their first live appearance in the U.S. when they opened for Mott the Hoople in Denver CO. (What a cool show that must have been). Back on this day in 1993, David Lee Roth was arrested at Washington Square Park in NYC for buying a $10 bag of marijuana from an undercover police officer. Back on this day in 1996, Kiss made an announcement from the Intrepid that they were getting back together for a reunion tour with Peter Criss and Ace Frehley, leaving Bruce Kulick and Eric Singer in the cold. (Singer is now the drummer for Kiss). That tour went on to make $144 million.Can you imagine how much Gene and Paul are worth if that one tour made $144 million?